This registration page is for coaches that have teams to register for the Montana Baseball RBI League. Once your team has been registered, players check back to complete the individual registration process. MLB will need your information loaded into their database prior to playing at Regional and World Series events. Join a statewide league that makes a difference for youth baseball across Montana with these benefits. The Montana Baseball RBI League (MBL) season runs from April to June and consists of travel ball teams, existing local teams, and individual players from across the state. MBL consists of various age groups, each playing 12 regular season games and in some years a State Championship. The birth date cut off of May 1st, 2019. Whatever age a player is on this date is their league age for the season. 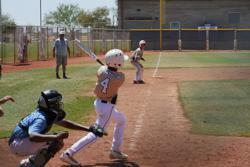 The three age groups will be 13U, 15U, and 18U. Montana Baseball RBI League registration runs from November 1st through March 1st, 2019. The cost is $500 per team and includes team entry into the MBL/RBI Open Tournament. The tournament will have a four-game guarantee and will be open to all comers in the above-mentioned age groups. RBI follows Montana High School Association academic standards for players to be eligible to compete. Coaches and players will be held responsible for self-reporting regularly on the Montana RBI website at www.montanabaseball.org. The RBI League is structured for participating teams and individuals to compete and play in other games and tournaments outside of MBL/RBI schedule. All coaches participating in RBI League must be Positive Coaching Alliance verified. A variety of coaching clinics will be offered over the course of several months. Visit positivecoach.org, for more information and look for more details to come. 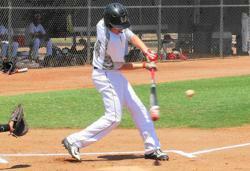 Part of the uniqueness of the Montana Baseball and Major League Baseball pilot RBI program includes the opportunity to play on the Montana Baseball Academy teams that compete in MBL's RBI Regional and National Tournaments and Showcase Events that are played in professional ballparks and other unique venues against inner city competition. Players wishing to try out for these select Montana Baseball RBI teams must play in at least twelve sanctioned MBL RBI games playing 50% of each game to qualify. They will be evaluated at tryouts on April 26th and the first part of the season during games and named to the team in late May. “Montana Baseball RBI” has officially joined Major League Baseball’s Reviving Baseball in Inner Cities (RBI) program, the youth baseball and softball initiative for young people from underserved communities. MLB collaborated with Montana Baseball, a non-profit organization focused on promoting baseball across the state, for the development of the new RBI program. Montana Baseball RBI joins the growing ranks of RBI programs based in a rural community while maintaining the program’s core mission of revitalizing baseball in underserved communities. Young ballplayers in Montana, one of the few states in the United States that does not have an official high school baseball program, have limited access to the sport. With the development of the new RBI league, MLB will offer financial and administrative support to promote the growth of baseball throughout the state. The program will offer players the opportunity to participate in structured league play, potential for travel to tournaments outside of Montana, playing access in Minor League ballparks and more.